I have to admit that I might not be the right person to criticize “evangelism” as it is practiced today. As a student and teacher of missiology, and as an administrator of the Christian Counseling Center, evangelism (as it is presently defined) is something I only do rarely. (On the other hand, I have organized and participated in numerous evangelistic projects, and have taught evangelism as a seminar or course on occasion.) Regardless, perhaps my role as a bit of an outsider gives me a perspective that others might miss. I don’t know. You decide for yourself. Here are a few concerns with Evangelism as it is understood and practiced today. 1. Evangelism is defined too narrowly. It is often defined in such a way that it is limited to “proclamation of the gospel message so as to produce spiritual conversion.” In one sense, this makes sense. The Greek (“euangelizo”) from which evangelize is transliterated comes from roots that mean proclamation or speaking a good message. But David Barrett has shown in his book on Evangelism (“Evangelize! A Historical Survey of the Concept”) that the term was often used both in the Bible and in the early church to describe the entire process of discipling. It has broadness in ministry and depth in process. This seems to be a reasonable understanding. 2. Evangelism is too focused on the cognitive. Once again, this is understandable if one sees evangelism as communication (and receipt) of a message. In effect, evangelism becomes a part of Communication Theory and Cognitive Learning Theory. Yet the Bible definitely describes the transformation, the re-creation of a person into a member of the family of God, in more than cognitive (right thinking) terms. It also involves affective (right valuing) and behavioral (right action). 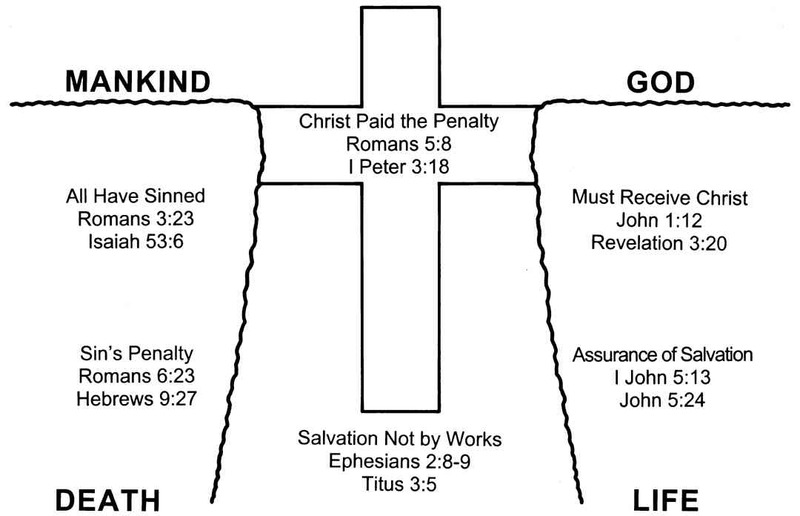 Salvation is by faith, but faith expresses itself in thoughts, feelings/values, and actions. 3. Evangelism tends to focus too much on either Input or on Output. This sounds weird, but think about this. Input-oriented Evangelism focuses on the presentation of the message. As long as one says correct things in a correct way, one has been an effective evangelist. We cannot control response so response is not important. As logical as that may be, there is a problem. Truth that is packaged to be unpalatable or culturally inappropriate is not good evangelism. Titus 2:10 describes how we are “adorn the gospel with our words and actions.” On the other extreme, output-oriented Evangelism focuses on the response. Whatever gets you the response you want is good evangelism. Here in the Philippines, one sometimes comes across the Dunamis method for evangelism that, to me at least, is nothing more than a method to “trick” Roman Catholic Christians into saying the “Sinner’s Prayer”. I cannot see how that could be called evangelism at any level or that the statistics from this method mean anything. (I have a friend who is a missionary in a Islamic nation whose friends almost managed to trick him into saying the Muslim declaration of faith (Shahada) three times, making him, in their minds at least, Muslim. Of course, he probably could have easily tricked them into “confessing Jesus as Lord” as well, if he was so inclined. Evangelism that doesn’t involve a genuine change of heart is not evangelism. I think we really need to have evangelism that is focused on the hearer. Our motivation may be God, but this motive expresses itself in love for the hearer. 4. Evangelism is too method-driven. We see this with cultic groups who share their own “gospel”. They often have very regimented methods of sharing that tend to fall apart when the hearer does not respond to the questions in the way that the cultic member expects. (Sadly, Christians are often pretty predictable in what they will say when faced with these methods as well.) Christians also tend to be pretty regimented in our Evangelism methods. We may be trained in the “Romans Road”, or the “Bridge Illustration” or “The Gospel Hand” or “The Wordless Book” or other methods, but have no flexibility in our sharing. We have our favorites… but it is not about us. If we are to be focused on the hearer, our methods should vary… perhaps it is even incorrect to say that we have specific methods. For example a Muslim, a Buddhist, or a Secularist is not likely to be too impressed by “The Romans Road” since a presumption of this method is that the hearer has a high level of respect for the Holy Bible. The Camel Method may be effective with some Muslims, but really misses the mark with others. There is no evidence that Jesus or the Disciples had a one-size-fits-all method for reaching out to others with God’s message. They seemed to have different methods for Hebraic Jews, Hellenistic Jews, God Fearers, Pharisees, and Pagans. And once again, it may be incorrect to even say that they had “methods.” It seems as if they simply sought to express God’s message of hope and love in a way that the hearer could understand and appreciate. Consider the example of someone trying to convince 5 people to stop smoking. These 5 smokers all have different values. Smoker #1 is worried about personal health. Smoker #2 is worried about personal beauty. Smoker #3 is concerned about saving money. Smoker #4 is a child and is concerned about his parents finding out. Smoker #5 is concerned about the effect of his habit and second hand smoke on his children. The way to give the basic message “stop smoking” needs to be distinctly different for each of these individuals.